In 1972, Janet Burroway was assigned to teach a “narrative techniques” class at Florida State. But when she went to find a text to use with the class, she could not find anything that spoke to fiction writing. 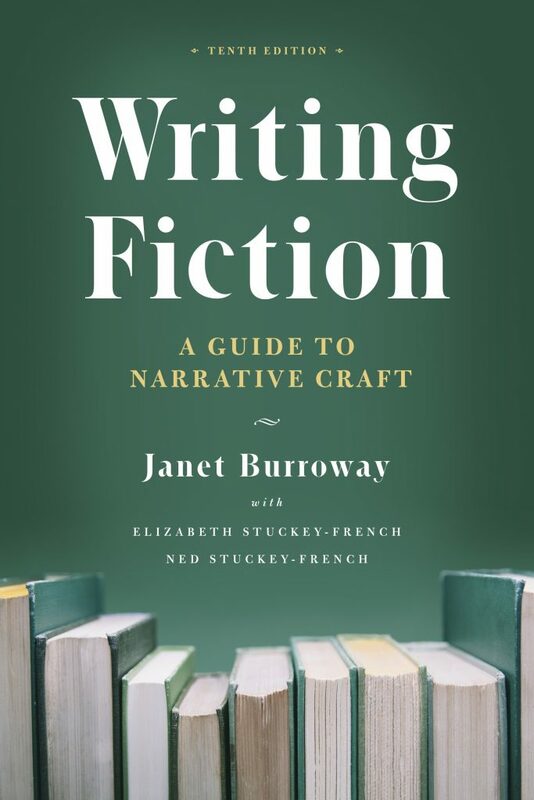 “There were (it is difficult now to imagine) virtually no books to serve as guidance,” she explains in the introduction to the tenth edition of Writing Fiction, which publishes at the end of April. “Strunk and White’s Elements of Style was a mainstay, but it took, as White notes, a barking tone toward its writer novices. I reread E. M. Forster’s lovely Aspects of the Novel, but it was mostly too abstract and too advanced for my Florida eighteen-year-olds. I combed Eric Bentley’s The Life of the Drama for clues to plot. I read another how-to, the name and author of which I no longer remember, but which memorably assured me that women use a lot of exclamation points but men should not.” So Burroway, a writer of novels herself, decided to create a guide of her own. If you have ever wanted to write fiction or want a set of “writerly exercises” to keep in creative shape, the prompts below will get you focused and ready to create. Open any book and point at random. Take the noun nearest where your finger falls and make a quick list of anything it suggests to you. Freedraft a paragraph about it. Take note of bumper stickers as you encounter them. When you have a half dozen or so, pick one and quickly list what you remember about the car, its make, model, color, condition—or make it up. Then freedraft a portrait of the car’s owner. Identify the kernel of a story from your experience of one of the following: first memory; angry parent; lost object; unfounded fear; haircut. Every morning for a week, sit down before breakfast and freewrite a paragraph of whatever comes into your head. At the end of the week, read the pages over, circling any word, phrase, person, place, or thought that seems interesting to you. Pick one. Freedraft a page about it. Make a list of a dozen things you know nothing about. Pick one at random and freedraft a paragraph about it. Write a short memoir that has to do with reading or writing—the moment you discovered you could read or write your name, for example, or the class where you practiced making letters, or the person who inspired you to write. Is there the kernel of a story here? Write a short passage about why you want to write. Write another about why it’s so hard. Imagine someone radically different from yourself in some way. Write a page in which you attribute something of that desire and that difficulty to this other person. Make a list of the first ten things that come into your head. Pick one. Make a list of the first ten things it brings to mind. Pick one. Write a paragraph about it. After supper he would always . . . In my favorite photo . . . But why did she have to . . . ? I took one look and . . .
That little space made me feel . . .